Like all financial institutions, Alliance is required by law to obtain, verify, and record information that identifies each member that opens an account. The information requested in this application allows us to properly identify you. This account establishes your Ownership in Alliance Credit Union. A bonus dividend rate of 5% APY is paid on the first $2,500 balance in the account for the first 12 months beginning on the date the account is opened. Allows a one-time bump to the dividend rate of our standard 36 month certificate, date selected by you. Youth Certificates require only a minimum deposit of $250. If you like to keep higher balances but still want access to your funds, this savings account could be for you. It provides higher dividend rates than the traditional share account but still allows you access to your money unlike a share certificate. Set aside money for something special… like a vacation for example. No minimum balance or withdrawal penalty. Save for all year so you'll have the money you need come holiday time. On November 1st Holiday Savings money will be automatically transferred into your regular savings or checking. For all New Membership applicants, a copy of your ID is required. Please upload a copy of your ID here. 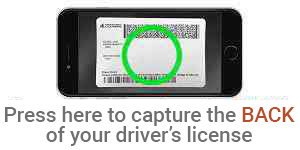 To speed up the process, you may take an image of the BACK of your US Driver License. If you do not wish to use this feature, simply click Next below to continue entering your information. By clicking continue you certify that the information entered herein is true and accurate. Further you authorize Alliance Credit Union to pull credit. I have read and understand the Privacy Notice, Terms and Conditions, Truth in Savings, Funds Availability, Electornic Fund Transfers, Substitute Checks, Fee Schedule. E-Consent, and Cell Phone Contact.